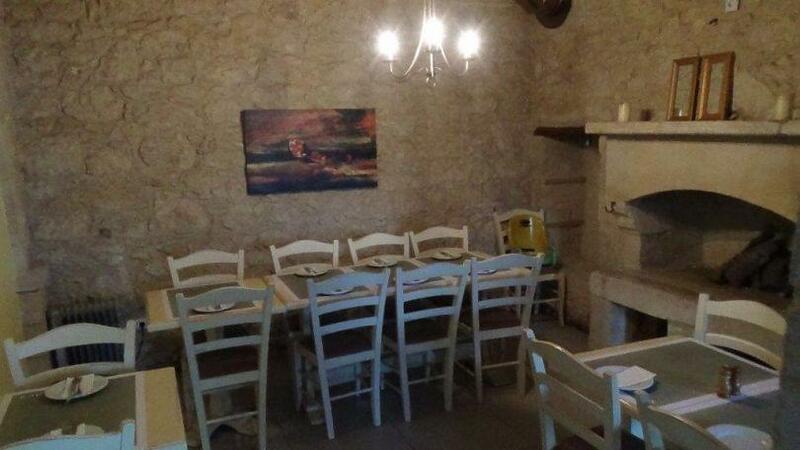 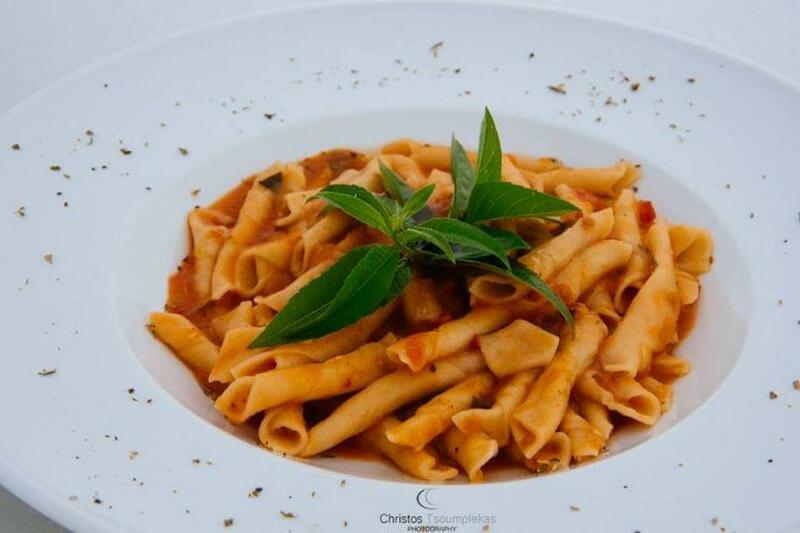 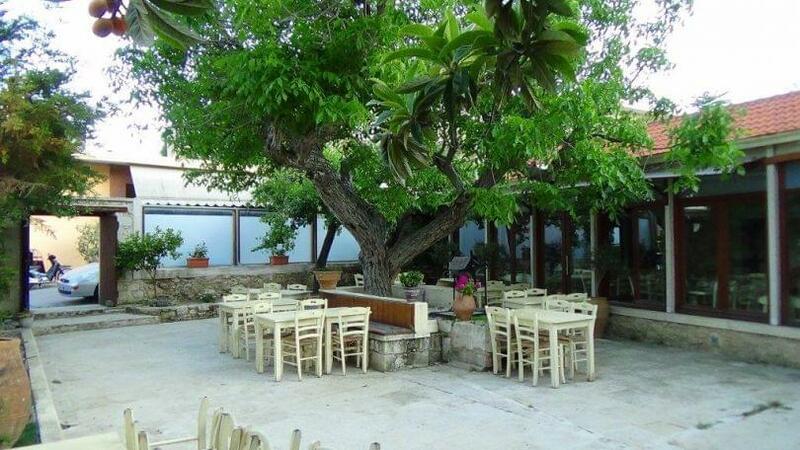 Kritamon restaurant in Arhanes of Heraklion in Crete offers genuine cretan cuisine. 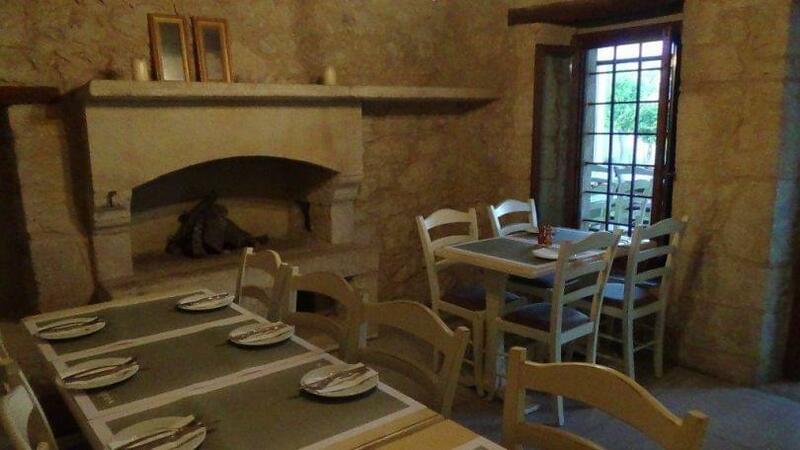 It is a welcoming cretan restaurant, where stone, warm colors, a fireplace and traditional, minimal decoration will make you relax and feel like home. 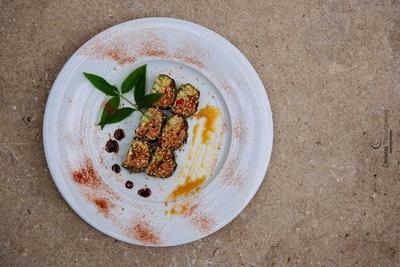 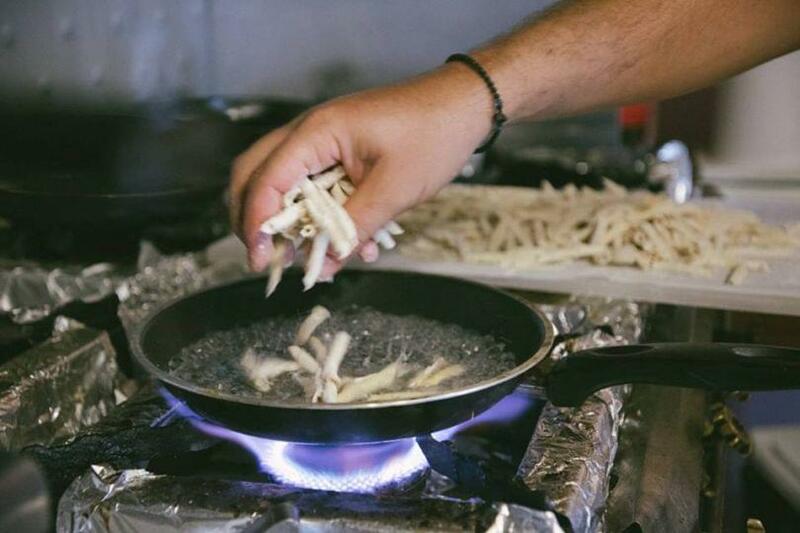 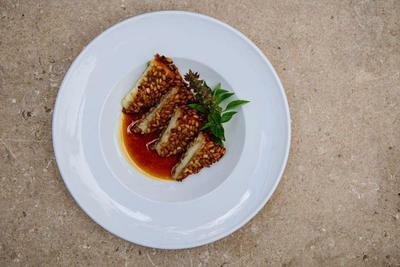 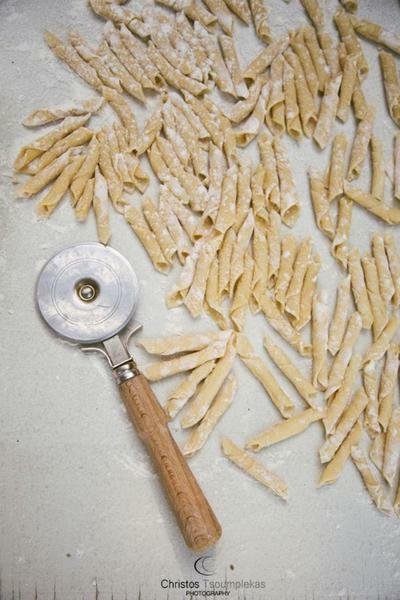 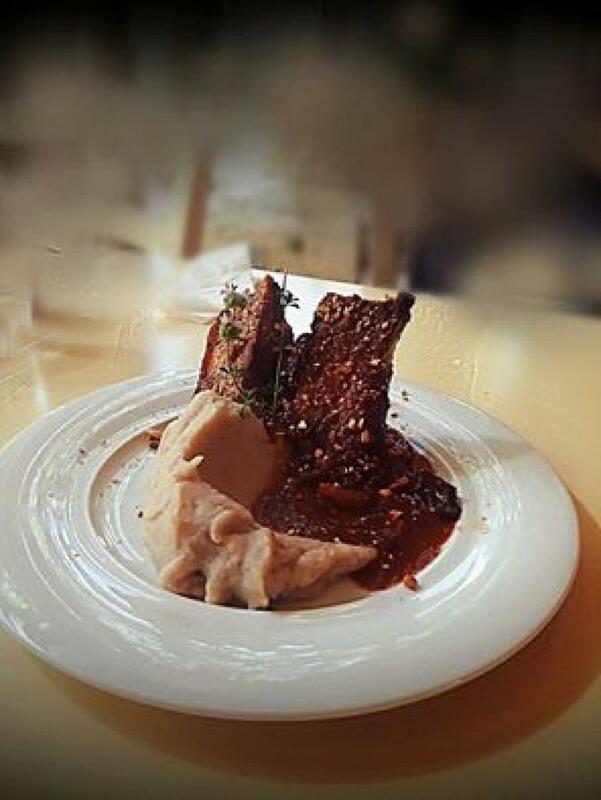 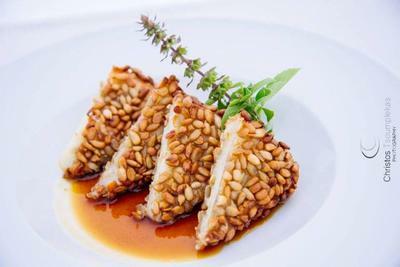 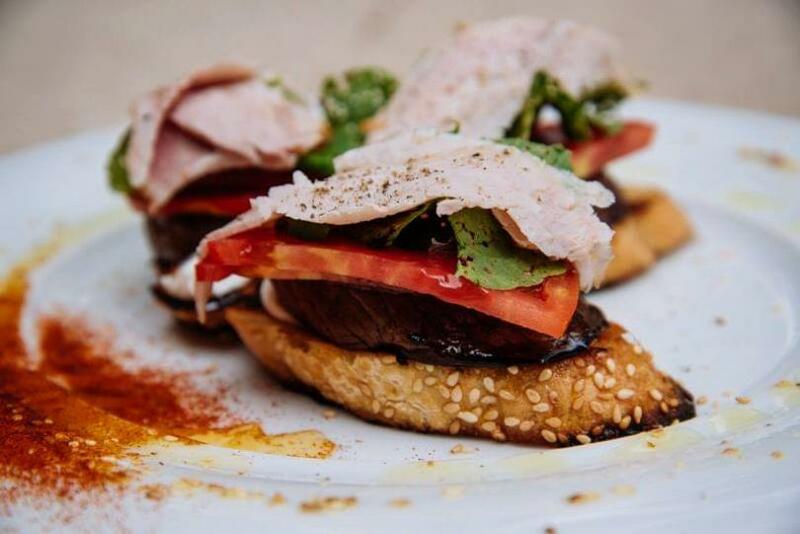 Dimitris Mavrakis with his wife Maria Chachlakis use their knowledge and their love for good food, to create homemade, delicious recipes prepared with the finest materials of the Cretan land. 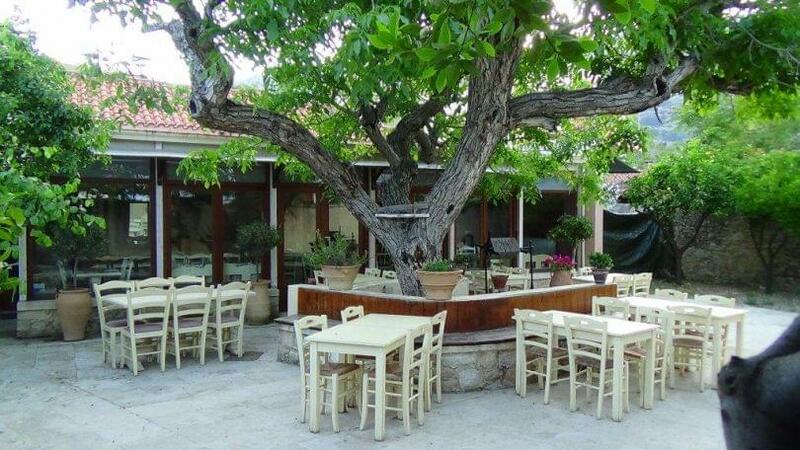 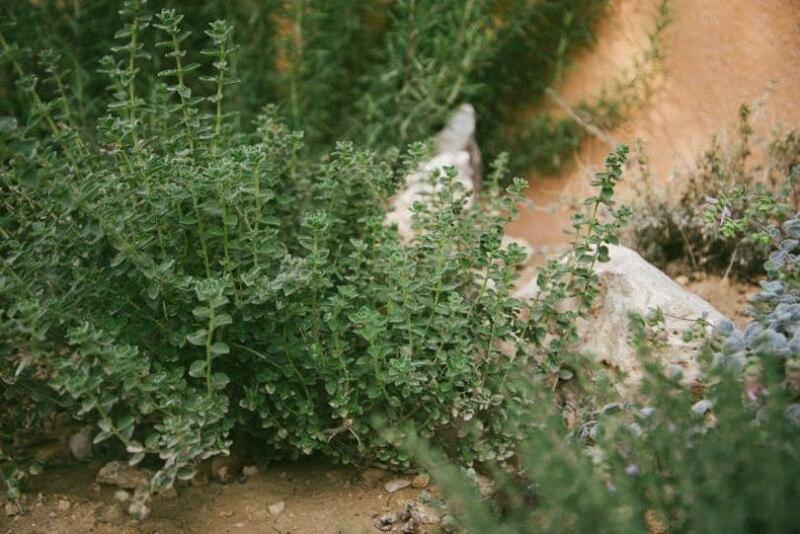 Extra virgin olive oil, herbs, greens from the mountain, organic vegetables from the restaurant's garden and fine local meats are the main characteristics of Kritamon's extensive menu. 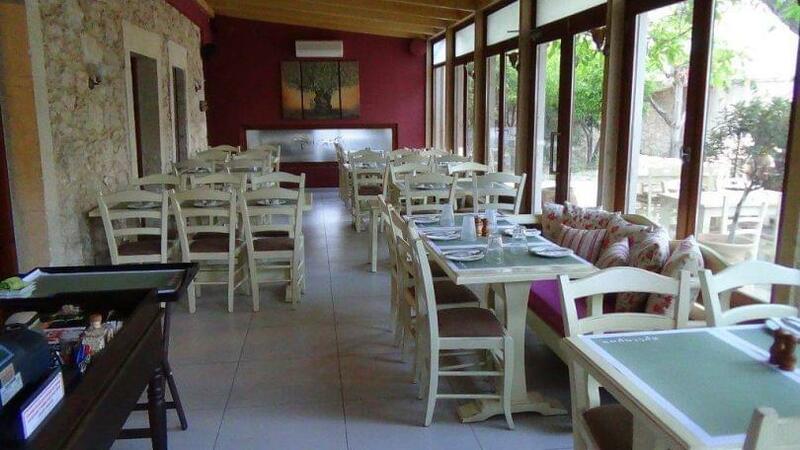 Taste apaki (cretan smoked pork filet), chicken in phyllo dough with mushrooms, yogurt and honey, veal chop with wine - mustard sauce and mashed potatoes, mediterranean pork filet with kritamon, caper, tomato, olives and feta cheese, fresh sea bass with lemon risotto, rooster with aniseed and cinamon, spaghetti with fresh shrimps and many more homemade cretan specialities that you will accompany with fine wines. 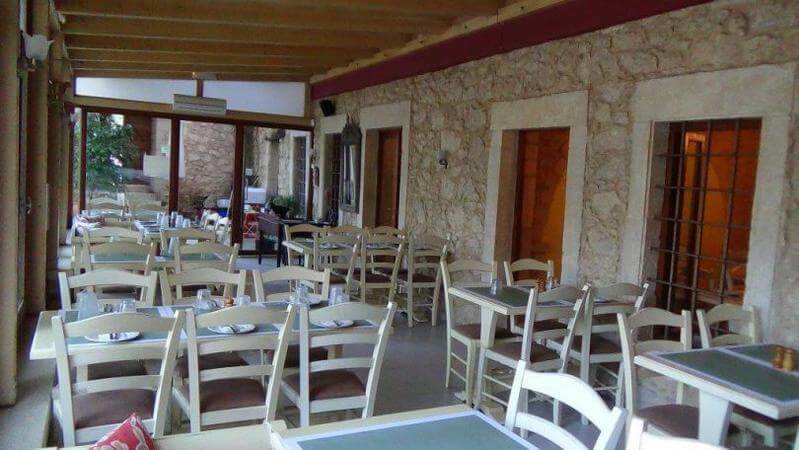 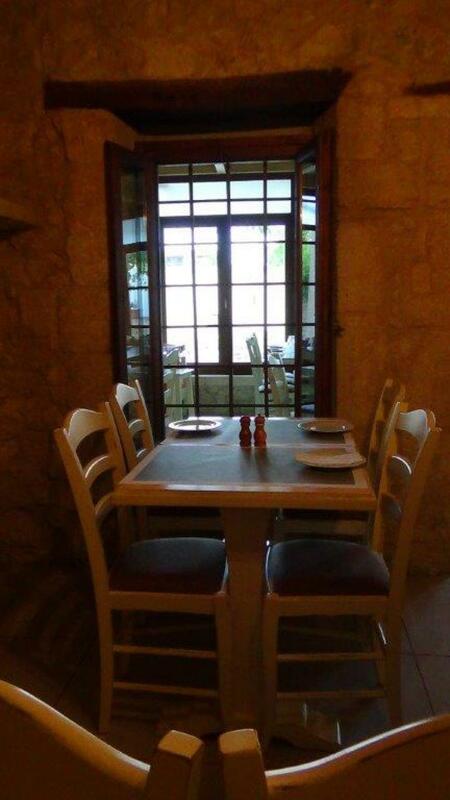 Kritamon restaurant is a very good choice if you are looking for a nice cretan restaurant in Arhanes of Heraklion. 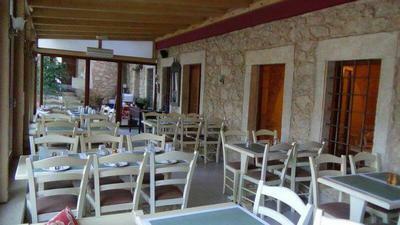 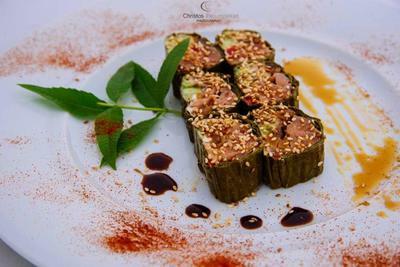 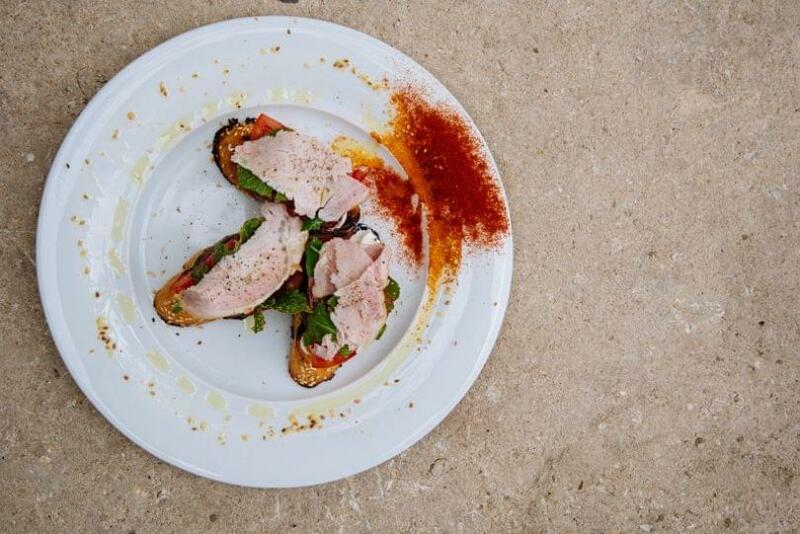 Make your reservation on e-table and get great offers on the best cretan restaurants.